Youth from all around Kiskiminetas Presbytery reached out in mission and ministry in 2018 to provide relief to residents in a 30-mile radius of State College. This initiative was made possible due to the Small Church Leadership Development funds the presbytery received from the Synod of the Trinity. Each year, the Synod of the Trinity provides Small Church Leadership Development funds for its presbyteries so they can distribute the funds to their smaller congregations that are looking to provide training for their clergy and lay leadership. In 2018, the Synod distributed $32,000 to its presbyteries, money that was divided up based on the amount of “small” churches in each presbytery. 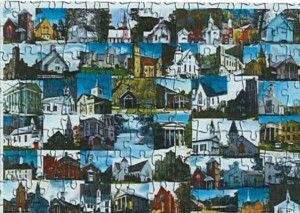 A church with a membership of 100 or less is considered a “small church” for this program. The Presbytery of Carlisle used $1,200 from the Small Church Leadership Fund grant to send five members and the pastor of the First United Church of Newville on a mission trip to Honduras. Once again for 2018, the presbytery divided the generous donation from the Synod among a number of grants through its Engaging Our Mission Committee in order to say that the grants are in partnership with the Synod. Among the initiatives to benefit from the funds were the expansion of the homeless ministry sponsored by Hands Across the Street located at Columbia Presbyterian Church and the Community Center Building and Ministry launched by the Shiloh Presbyterian Church, a primarily African- American congregation in Oxford, PA. A new program is the “Man-Up” Academy for which the Synod is also a partner. 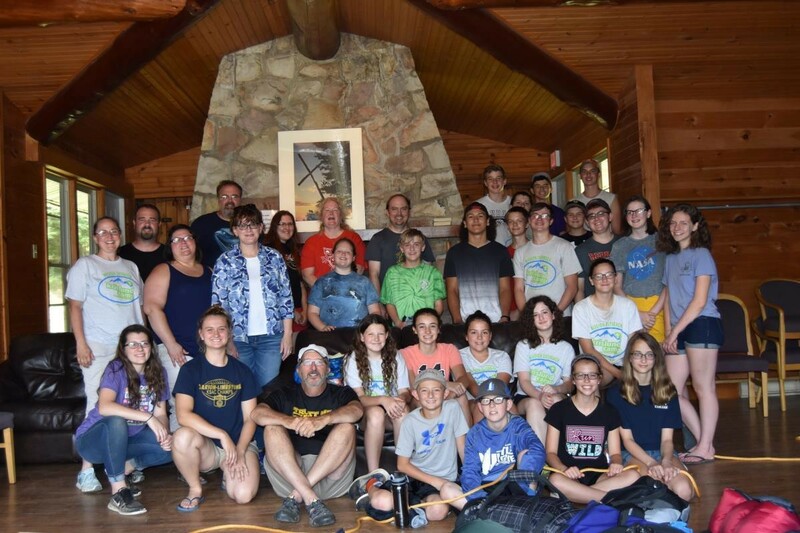 The presbytery was fortunate enough to be able to use all of the funds toward sending youth from smaller churches in the presbytery on a Youth Mission Trip to Camp Krislund in June. There, they were involved in activities that taught them mission skills to enhance not only their lives and their development, but the people of the lives they touched. The presbytery is comprised of predominantly (36 of 46) small churches. During 2019 and 2020, the presbytery anticipates that 11-16 of its churches will be without a pastor due largely to clergy retirements. In order to assist the smaller churches with re-defining their identities and mission with regard to the changing demographics and climate of their local neighborhoods, the presbytery has used its 2018 SCLD to purchase the first-year subscription to Mission InSite and provide it to its churches at no charge. Three specific congregations benefited from these funds in 2018. 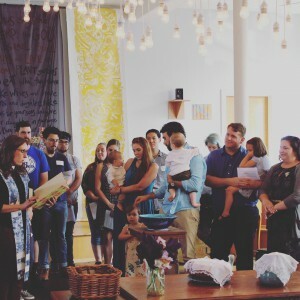 The Belle Valley Church jointly employed a seminary student with a neighboring Presbyterian church to better connect with the community. First Church of Oil City has upgraded a portion of its building to make it available for low, or no, cost to business groups and groups from the local branch campus of Clarion University. At Hasson Heights Community Church in Oil City, it used the funds to build confidence in some of its members as it partnered with a group home for teenagers in the area. In 2019, with the “new” structure of the presbytery and a new transitional leader being sought, the presbytery feels these monies will be able to be put to good use with the small churches of Lehigh Presbytery in helping to train and develop new leadership. This proved to be an odd year in that the presbytery could not give the money away. As its churches get smaller, the presbytery wants to offer real help and these funds, as well as additional funds left to the presbytery by one of its churches that closed, could offer a long-term solution. Although we still have the funds, we expect them to be used going into the future. Small Church Leadership Funds supported the work and ministry of the Beacon congregation in Philadelphia through a season of continued transition. The presbytery distributed these dollars to Beacon Church in Kensington as it continues to be on the forefront of adaptive ministry in its neighborhood and equipping both its congregational and community leaders for vibrant ministry alongside children and families in the midst of pervasive gentrification. The funds given in 2018 primarily supported the salary of Beacon’s pastor, who had her hours reduced from 40 hours per week to 20. She continued to work hard with the session to cultivate relationships with new members, identify new leaders to join session and train those new leaders. Pittsburgh Presbytery awarded $5,000 in 10 grants to: Three persons (two pastors and one pastor spouse) who participated in a certification program for church planting and revitalization at Pittsburgh Theological Seminary; two persons (one pastor and one Candidate under care) who participated in the transformational ministry program at Pittsburgh Theological Seminary; three persons (two organizing pastors and one elder of new worshiping communities) participated in leadership conferences; and one pastor who continued their education at Pittsburgh Theological Seminary. Redstone used the funds to share continuing education programs, mentoring and fellowship experiences, one-on-one consulting, books and resources. Among the programs in 2018, the presbytery sponsored two different types of continuing education/training events not only for commissioned ruling elders, but also for authorized preachers. Additionally, workshops were held on ethics and boundaries, conducting funeral services, preaching and evangelism/outreach for local congregations. This year the presbytery used the grant to help support the IPLF (Inter-Presbytery Leadership Forum). Kiskiminetas, Redstone, Washington and UOVP all have joined together to train CREs. It is a two-year program, and the annual fee for each presbytery is $1,500.